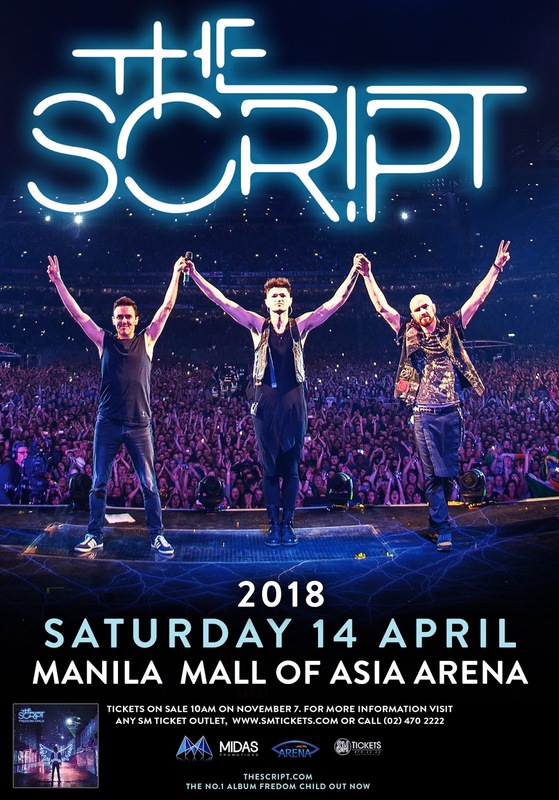 Midas Promotions is happy to announce that The Script are returning to Manila - admittedly one of their favorite tour destinations, for the fourth time - with their latest #1 album Freedom Child. The Script is one of the world’s most successful bands and has sold over 29 million records. The Irish three-piece have scored 3 multi-platinum albums, all of which were #1 in the UK. The Script have also picked up a huge following in the USA where they have 4 platinum selling singles under their belt. 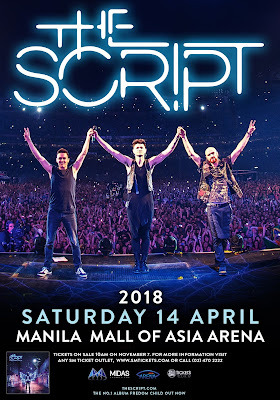 The Script is also one of the biggest live bands, having sold over 1.4 million tickets across 203 headline shows and they sold out the legendary Croke Park stadium in their hometown of Dublin, Ireland in a matter of minutes.